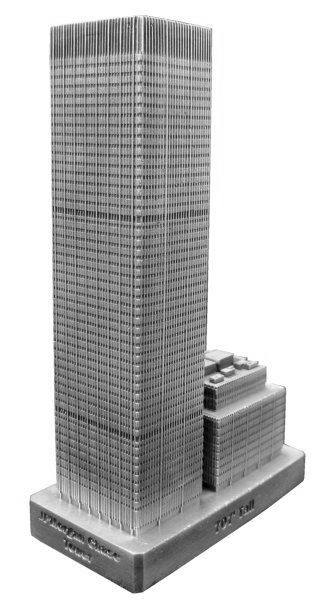 JPMorgan Chase Tower is located at 270 Park Avenue in Midtown Manhattan, New York City and was completed in 1960. This building was designed by Skidmore, Owings And Merrill LLP and stands 707 feet tall with 52 floors. This pewter replica stands just less than 5-1/8 inches tall and is finished in antique pewter This model's scale is 1 inch = 150 feet.